Pakistan is kicking out 18 international charities based in the United States and Europe after refusing their final appeal to remain in the country, the latest move in a “systematic crackdown” on non-governmental organizations (NGOs) operating in the nation, the Associated Press (AP) reported on Thursday. On Thursday, Pakistan’s Human Rights Minister Shireen Mazari wrote on Twitter that Islamabad ordered the 18 NGOs, including Christian charities, to leave for spreading disinformation. The move, which aid groups believe would impact millions of desperately poor Pakistanis and lead to tens of millions of aid dollars lost, is expected to further push the existence of international non-governmental organizations (NGOs) in Pakistan towards the brink of extinction, news outlets indicated. The majority of the shuttered aid groups are U.S.-based, while the rest are from Britain and the European Union, according to a government list seen by The Associated Press. Another 20 groups are at risk of also being expelled after authorities a few months ago singled out some 38 international aid groups for closure, without any explanation. The development is the latest in a systematic crackdown on international organizations in Pakistan, with authorities using every bureaucratic excuse, such as discrepancies in visa and registration documentation, to target the organizations. Pakistan and its security forces are still stinging from a 2011 covert operation that involved a Pakistani doctor, an aid group and a vaccination scam to identify Osama bin Laden’s home, aiding U.S. Navy Seals who tracked and later killed him. …Many believe the sweeping crackdown on aid groups is the fallout from the CIA sting operation in which Pakistani doctor Shakeel Afridi, posing as an international aid worker, used a fake hepatitis vaccination program to try to get DNA samples from bin Laden’s family as a means of pinpointing his location. Pakistan subsequently arrested Afridi. Although the U.S. has repeatedly demanded that Pakistan release him, Afridi remains in prison in northwestern Pakistan. Gen. Asif Ghafoor, a spokesman for the Pakistani military, reportedly denied any link between the closures of aid groups and the Bin Laden raid, insisting they did not meet the criteria to operate in Pakistan, though many had done so for decades. “In strictly legal terms, there is no ban on the operations of non-governmental organizations in Pakistan. Yet, in the span of a few years, this once-thriving sector has reached the brink of extinction. This is well in line with the current version of statecraft in which an overzealous state apparatus is stifling all voices and avenues that offer a national narrative different from the one espoused by this apparatus – all of this being done without breaking any law,” the Herald noted. Channel News Asia revealed that Islamabad had issued eviction orders to the 18 NGOs in question this year, noting that Pakistan is strengthening its policies against aid groups. “It is a very sad day for the team. They had to say goodbye to their colleagues and to the children they were helping,” Beng Yeoh, the director of the U.S.-based Christian NGO World Vision, told the Agence France-Presse (AFP) news agency at the time. Umair Hasan, spokesman for the Pakistan Humanitarian Foundation — an umbrella organization for 15 of the charities — told AP that 16 of the 18 expelled NGOs, are trying to overturn their ouster in a Pakistani court. 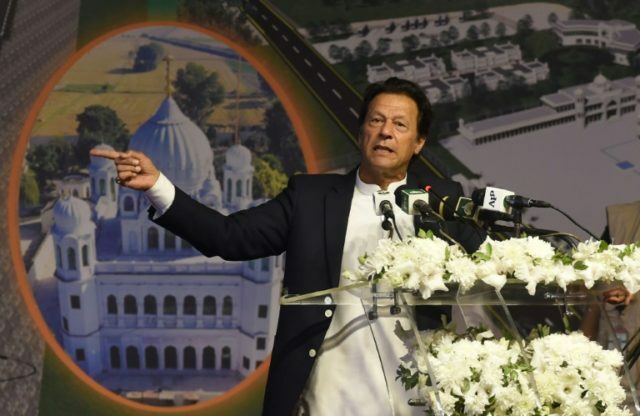 While an unnamed Islamabad-based diplomat blasted the expulsion of NGOs, calling the crackdown “outrageous,” Islamabad defended the measures, citing a lack of transparency from the charities in question,” Channel News Asia reported. “The decision to close 18 charities…is outrageous. Pakistan has put its paranoia ahead of the welfare of its people, and its international reputation,” the diplomat declared.